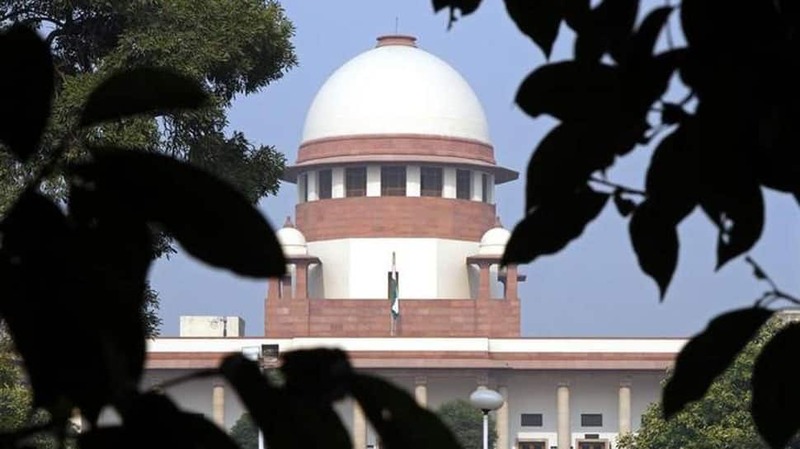 The Supreme Court began hearing a batch of petitions seeking review of its December 14 judgement on Rafale fighter jet deal on Wednesday. The Supreme Court began hearing a batch of petitions seeking review of its December 14 judgement on Rafale fighter jet deal on Wednesday. The top court had earlier refused to order a probe into the deal for procuring 36 Rafale jets from France. A three-judge bench headed by Chief Justice of India Ranjan Gogoi and comprising of Justices Sanjay Kishan Kaul and KM Joseph are hearing the review petitions. Rafale Jet deal case in Supreme Court has been adjourned till March 14. CJI tells Prashant Bhushan that if the court accepts AG's arguments, they will reject the documents and his review petition will then be heard without the papers. "If we reject AG's submissions, we will then see how these documents are relevant to decide the review petitions," said CJI Ranjan Gogoi. Petitioner Prashant Bhushan tells the SC that in Coalgate and 2G scam cases he had brought documents from a whistleblower. Attorney General K K Venugopal cited the ongoing India-Pakistan tension and highlighted the importance of having Rafale jets in the air force. "We need Rafale jet to defend our country from F-16 fighter planes that recently bombed us. Without Rafale how can we resist them," the AG told SC. "Rafale fighter jets are needed although MIG 21 of 1960s performed beautifully against F16," he added. Justice SK Kaul intervenes and said, "If the documents were stolen, the Govt should put its own house in order. It is one thing to say that we should look at these documents with suspicion. But to say we can't even look at those documents may not be a correct submission in law." The A-G stressed that the SC cannot look into the documents unless the source is known and is lawful. Justice KM Joseph slammed the government and said, "There were allegations of corruption in Bofors. Now will you say the same thing that a criminal court shouldn't look into any such document?" We are here to enunciate the law, he tells the A-G. "Now where do we get an authority which says if a document comes from an unknown or unlawful source, documents cannot be looked into?" Justice Joseph added. Attorney General KK Venugopal told the SC that if a CBI investigation is directed now, huge damage will be done to the country. Rafale Jet Deal case in Supreme Court: Attorney General KK Venugopal said that if a CBI investigation is directed now, huge damage will be done to the country. Justice KM Joseph says relevant documents related to Rafale deal, which were stolen, can be looked into if relevant. "The leaked documents published in newspaper clearly had 'Confidential' written on it. It cannot be made public. This is against the Official Secrets Act. These documents were also published in court." AG tells SC. SC says it will not hear review petition filed by AAP leader Sanjay Singh as he has made derogatory statements about the apex court. Bench assembles, hearing resumes post lunch. AG seeks dismissal of Rafale review petition and perjury application as they relied on stolen documents. "Those who put documents on Rafale deal in public domain guilty under Official Secrets Act and contempt of court," says AG Venugopal. AG says documents on Rafale deal relied on by petitioners were marked secret and classified, and in violation of Official Secrets Act. Publication of the documents also amounts to influencing hearing in SC and is itself a contempt of court, adds AG. Investigation underway on documents relating to Rafale deal being stolen: Attorney General in SC. CJI Gogoi asks AG to inform court after lunch "what action has been taken on theft of documents on Rafale deal." Rafale deal documents stolen from Defence Ministry were later leaked out and published in newspapers: Centre tells SC. "Certain documents were stolen from the Defence Ministry either by public servants and an investigation is pending. We are dealing with defence purchases which involve security of the state. It is a very sensitive case," Attorney General (AG), KK Venugopal tells SC. AG K K Venugopal says documents relied upon in Rafale deal by advocate Prashant Bhushan stolen from Defence ministry. Critical facts on Rafale suppressed when petition for lodging FIR and investigation filed, Prashant Bhushan tells SC. SC begins hearing review petitions, says it won't look into any supplementary affidavits or other documents not filed before it. The top court had on February 26 agreed to hear in open court the petitions seeking review of its December verdict that had dismissed pleas challenging the deal between India and France for procurement of 36 Rafale fighter jets. A bench of CJI Ranjan Gogoi and Justices SK Kaul and KM Joseph, in its chamber hearing, had allowed the prayer of former Union ministers Yashwant Sinha and Arun Shourie as also activist lawyer Prashant Bhushan that the review petitions be heard in open court. "The prayer for open an court hearing is allowed", said the bench which also considered the review petition filed by AAP MP Sanjay Singh through lawyer Dheeraj Singh. On December 14, 2018, the apex court had dismissed various pleas challenging the deal for procurement of 36 Rafale fighter jets by India from France, saying that there was no occasion to "really doubt the decision-making process" warranting setting aside of the contract. In its verdict, a bench headed by Chief Justice Ranjan Gogoi had dealt with "three broad areas of concern" raised in the petitions - the decision making process, pricing and the choice of Indian offset partners (IOP) - and said there was no reason for intervention by the court on the "sensitive issue" of purchase of 36 jets. It had said the Indian Air Force (IAF) needs advanced fighter jets as the country cannot afford to be "unprepared" or "under-prepared" in a situation where adversaries have acquired fourth and fifth-generation fighter aircraft, "of which, we have none".